In an age dominated by social media and online marketing, the step from virtual to physical may seem a bit backward. But if you ask José Miguel Sevilla, owner of the e-shop turned concept store Nuovum, it makes plenty of sense. 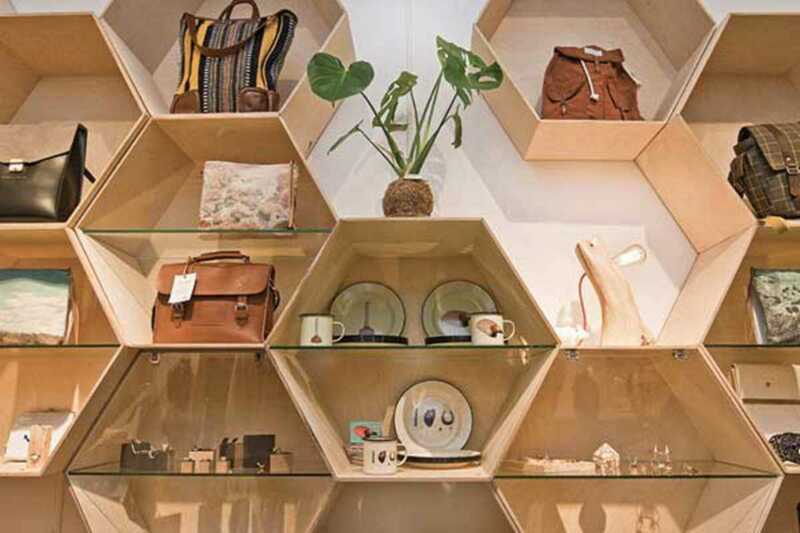 The shop has a large wooden shelf shaped like a giant honeycomb that houses special editions from Barcelona-based “upcoming designers.” Try on geometric rings crafted by Alba Casares. Touch the raw wood of Woodamp lamps. Feel the quality of Stüke’s handcrafted garments. Moreover, the store is located just in front of the lovely café and restaurant Caravelle, so for a bite after hunting for the latest in local designer fashion you only have to cross the street. And if you need more time to think about your purchase, just order online for next day home delivery.